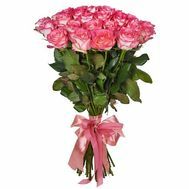 Order flowers and buy bouquets delivery in Ukraine and all over the world | Delivery of bouquets of flowers to the house. Дорогие друзья, большое спасибо за Ваш труд. Неоднократно пользуюсь Вашими услугами и мне очень нравится, что Вы с таким вниманием и заботой относитесь к своим клиентам. От всей души благодарю Вас за исполнение моих заказов. Желаю дальнейшего процветания Вашему бизнесу, здоровья и счастья Вам, Вашим родным и близким! Большое человеческое спасибо Вам за своевременное поздравление моей маме ! Заказала корзину с фруктами .Мама и гости были приятно удивлены.Сказали .что очень красиво украшена и много фруктов . Я живу в России . а мама в Украине.Спасибо вашей девочке -курьеру.!!!! Выражаю большую благодарность вашему коллективу!при чём не первый раз!) очень рада что нашла ваш сайт и не пожалела.вы единственные кто производит доставку "РАДОСТИ И СЮРПРИЗА" в отдалённые сёла..Молодцы!всё прошло на высшем уровне и наша бабушка была очень рада и удивлена! радовать близких нужно при жизни.....................ещё раз большое вам человеческое спасибо! Спасибо за внимательное отношение и четкое исполнение заказа. Моей девушке очень понравился ваш букет. Желаю успехов всему коллективу. Спасибо Вам огромное! За четкость, за чуткость. за внимание к просьбе, за все! Обращаюсь к вам уже несколько раз. Только добрые слова Вы заслуживаете. Вчера был день рождения моей сестрички. Расстояние между нами оценит любой. Благодаря Вам я смогла ее порадовать и даже чуть удивить!От души желаю процветания и всех благ! Огромное спасибо Вашему магазину за слезы радости моей мамочки!!! Процветания и успехов Вашему коллективу! A gift that is relevant on any day, for every person and in any quantity. Agree, because you do not need a special reason to give flowers. They never happen much. They can not help but like it. 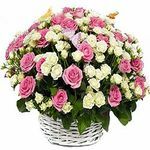 And for those cases when you can not (or do not want) to give flowers personally, and there is a flower delivery service UaFlorist! 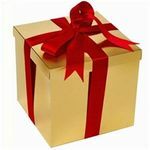 Send flowers from UaFlorist - what enables us to professionally perform our work? Strong partnerships with large and reliable suppliers. A staff of professional florists who possess the necessary knowledge, skills and, most importantly, a desire to create magnificent floral compositions. 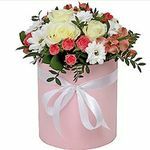 Own courier delivery service and a wide network of partner companies for delivery of flowers to other cities of Ukraine. Availability of cold rooms and proper primary color processing, which ensures proper storage. We always have fresh flowers and almost limitless possibilities for creating magnificent large or miniature laconic compositions. 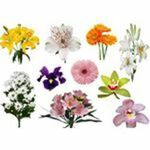 Especially for those who do not want to limit themselves to flowers and for those who want to present an unusual gift, we offer an order of flowers with a variety of gifts, toys, sweets and postcards. 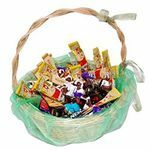 The originality can also be distinguished by ordering the delivery of gifts in the form of fruit baskets. Fresh, ripe, fragrant fruit in the basket - it's beautiful, useful, appetizing and very tasty! 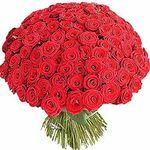 Flowers with delivery from UaFlorist: we will make a "bouquet of your dreams" professionally and inexpensively! Many of our customers want to add a bouquet of other colors or vice versa - "fix" it, removing decorative elements in the composition. Your "contribution" to the flower arrangement with advice, a wish or an idea for design is always welcome. Well, we for our part always tell you how well mixed in the bouquet "those lilac flowers with small roses or large lilies". From what kind of flowers you choose for a bouquet, the prices depend on them. 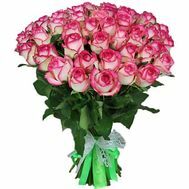 Our couriers are ready to deliver the bouquet at any time, in advance agreed with the managers of our company. 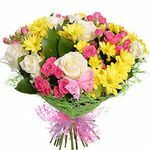 Do you want to surprise your wife by ordering flowers to be delivered to her office before she comes to work? Great idea! What can not you do for the sake of your beloved! In your desire to please someone, present pleasant surprises, you can always count on our help. 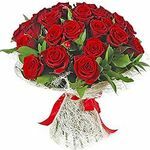 In addition, the ability to pay for an order in any convenient way and from anywhere in the world allows you to order a service such as delivery of flowers in Ukraine, even if you live abroad or are temporarily there. If you want to please your family and friends in Ukraine with a beautiful flower arrangement, there are no borders for us! 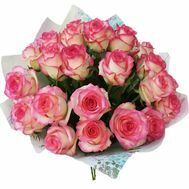 You can pay for the order of flowers in any convenient way for you (online from a bank card, through a payment terminal, replenishing the account of a mobile operator, PayPal, etc. ), in whatever part of the world you are located. 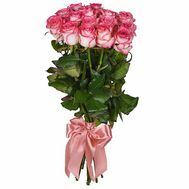 And we will be able to deliver the "flower greetings" from you to the recipient in any part of Ukraine. And still our experts know how to preserve the beauty and freshness of flowers in hot weather or in severe frost. 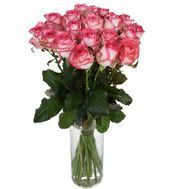 Therefore, you can not worry about whether the bouquet will "have a trade appearance" after several hours of delivery around the city on a hot summer or frosty winter day. Feedback from our customers about our service and photos of real recipients posted on our website is proof of this. Are there any questions left? Managers of UaFlorist are always ready to talk with you, tell, tell, consult. Write to the mail, knock on Skype! Ask questions online in chat mode on our website - we are always in touch with you!